Seamless transaction of properties between buyers and sellers rely on a transparent, written agreement. 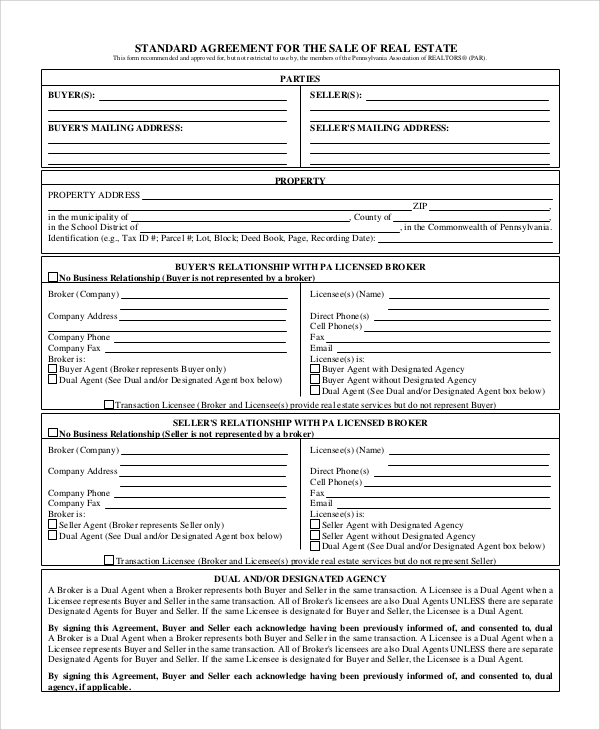 When you plan to buy or sell a house or commercial area, you need to sign the Real Estate Purchase Agreement, which provides authentication for the purchase. All the particulars like the names of the buyer and the seller, insurance, third party financing and other details are included in the agreement. Here are five commonly used Sample Agreements that you should know. This is the basic agreement between the buyers and the sellers, stating that they have come to the decision of transaction. The terms and conditions, if any, are mentioned in this form. It also states the prices and other financial details of the transaction. Often, it is found that some terms and conditions come as part and parcel of the transaction. These include water rights, mineral rights, title insurance and other details. 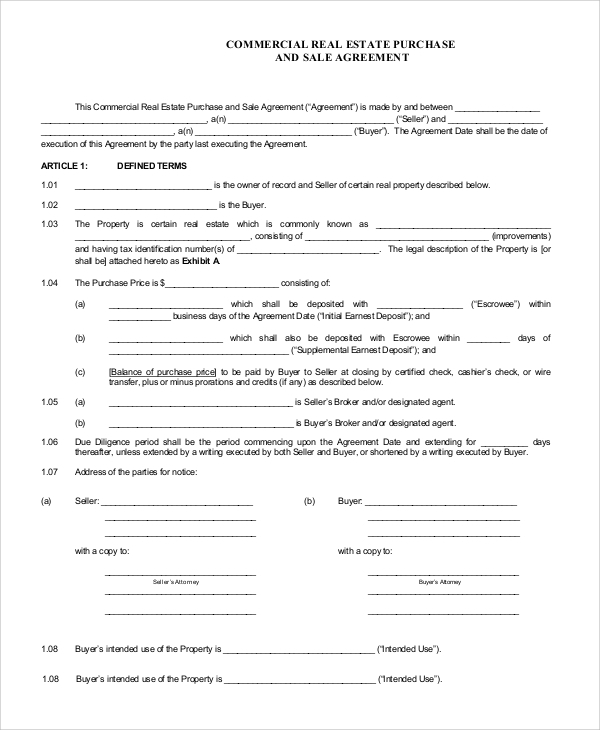 This Sample Real Estate Purchase Agreement Form deals with all these aspects. There are various articles and laws related to the purchase of a property. 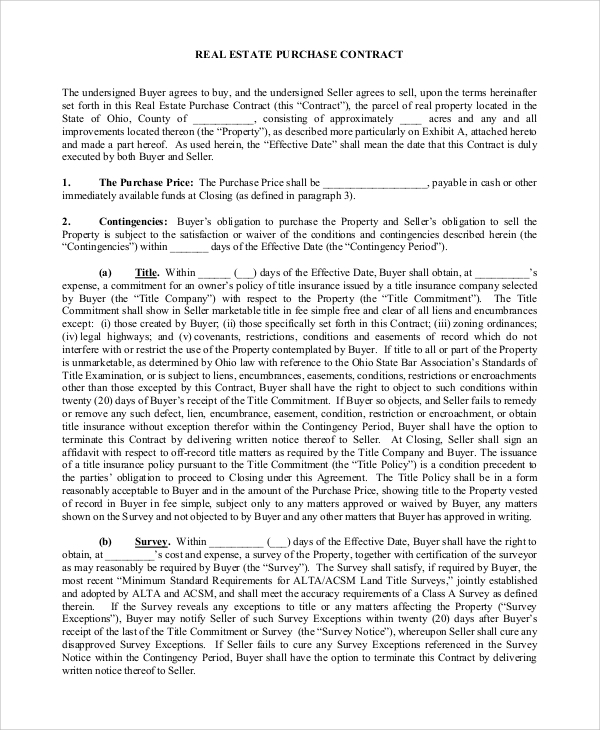 Under this agreement, buyers and sellers sign documents related to surveys, inspections, and conditions. 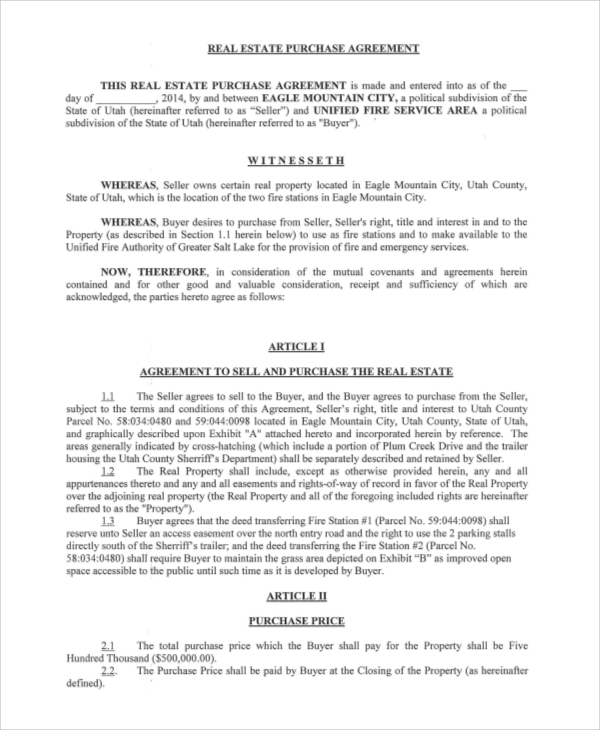 What Details Should a Real Estate Purchase Agreement Cover? 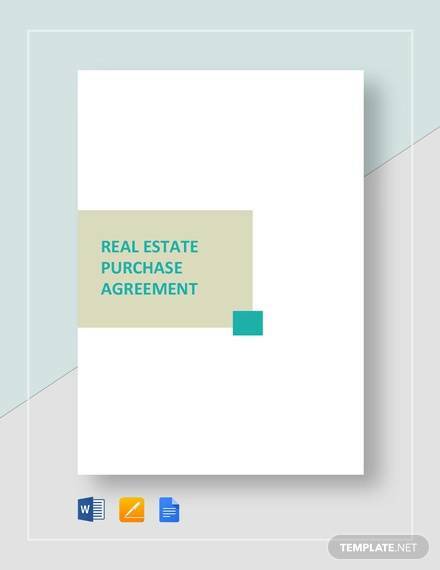 Real Estate Purchase Agreement Samples should cover every minute detail that is related to a transaction of property. The property details, particulars of the buyer and seller, the choice of dates of possession, insurance, resolution of conflicts and other relevant details should be included in the forms. However, there is a difference in the format of forms for commercial property, as compared to housing. There are other details like financing and pricing which are included in different forms. In case there are brokers in between, the details are provided in the required way. When it comes to the purchase or sale of a commercial property, the agreement is formatted in a different way. However, it contains all the essential elements of a survey, mortgage insurance, and inspection. Here, the buyer states the willingness to purchase a particular property. 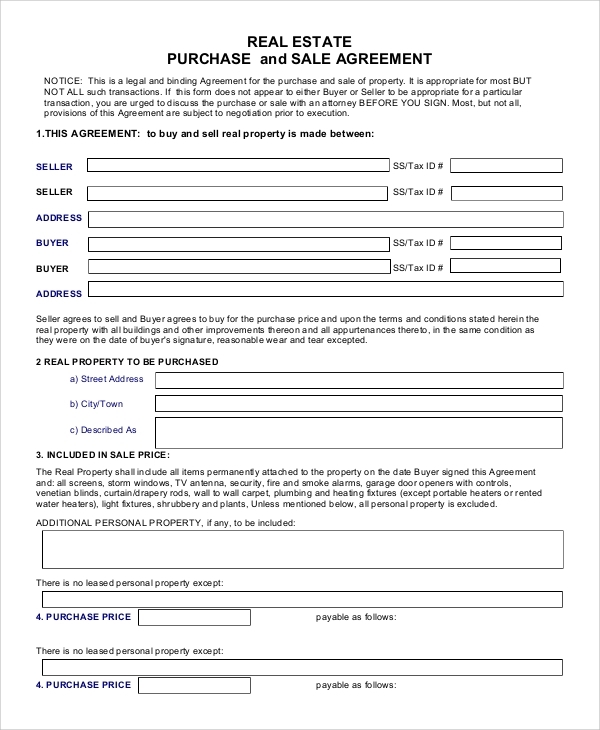 The complete description of the property is presented in the form. 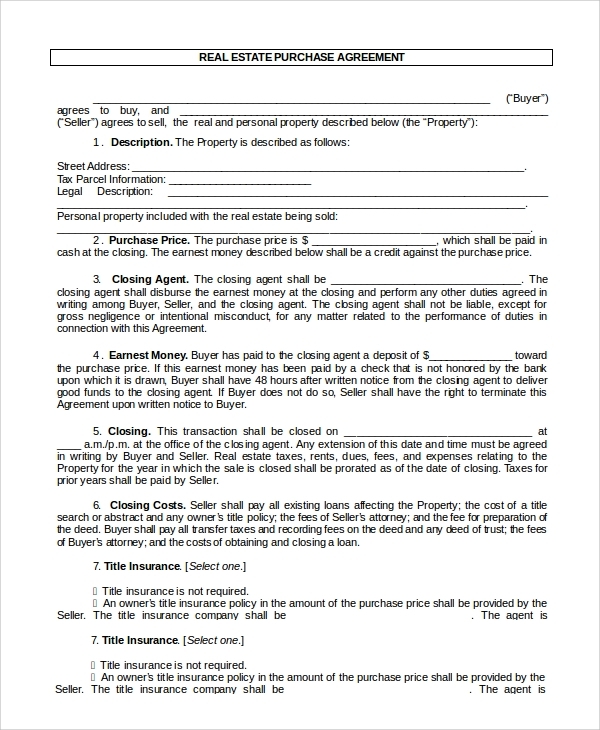 There are other details related to purchase price, closing agent and so on. 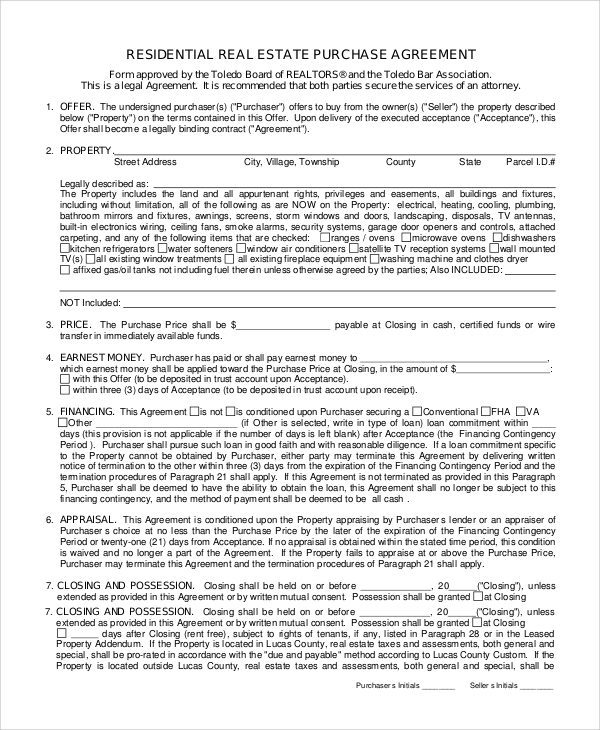 When do People need Real Estate Purchase Agreements? 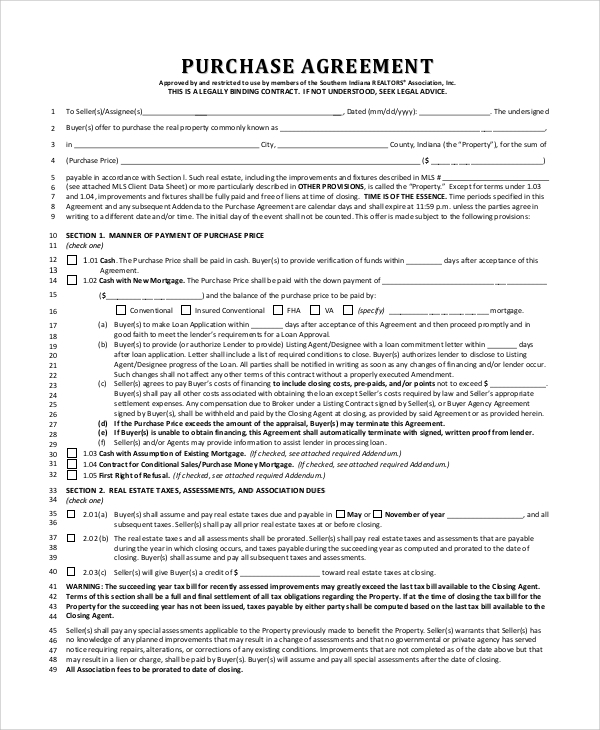 If you are a seller with the intention of conducting a private sale, you will need this form to establish an agreement. Some sellers finance buyers. These buyers have to come to an agreement regarding the financing with the seller. In this case, too, real estate Purchase Agreements need to be signed. There are times when family members are involved in a transaction. They sign the agreements with the required particulars to ensure transparency in the process. Real estate transactions involve various types of financing like seller financing, third party financing and so on. 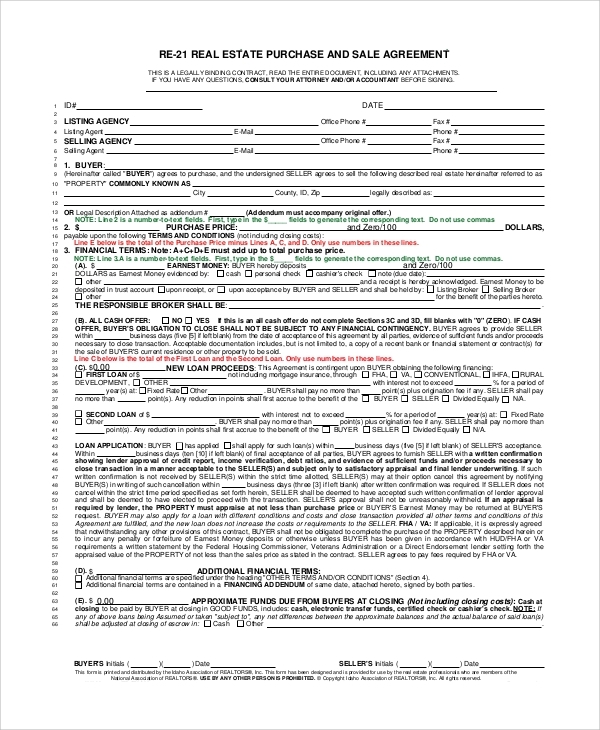 You can check out the Free Rental Agreement Samples on the website, along with other real estate documents. It is recommended that you should use the right legal documents while dealing with real estate matters.